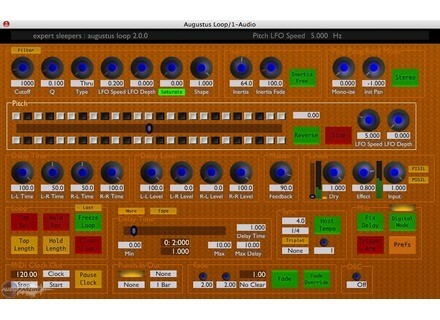 Expert Sleepers has released version 2.1 of Augustus Loop for both Windows and Mac OS X. Please note the current product picture may not be up-to-date - We'll update it as soon as we grab the new product pictures. 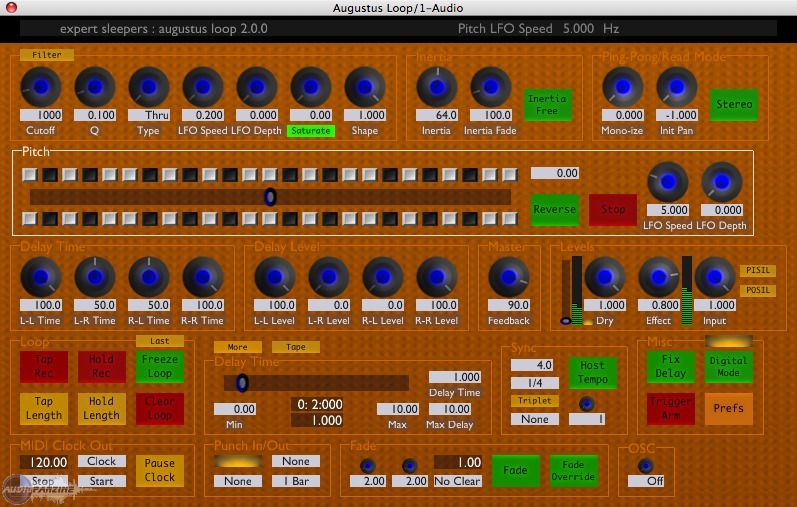 This new version adds some new functionality to Augustus Loop's MIDI/OSC and GUI scripting. Get the time between two events. Ask for a function to be called after a certain amount of time, or regularly at a specified interval. Using these functions you can do useful things like distinguish between short and long foot-pedal presses, or detect double taps, etc., ES says. These new features were developed after a request from Axel Baesler, who has used them to make a fairly complex script based on ES's Multilooper script. He's also made a custom GUI to go with the script, and provided a sample Live set and even a FCB1010 foot-controller patch to use with it. Rayzoon Mark For Jamstix 2 & Spring Sale Rayzoon has announced the release of Mark, a new drummer model for Jamstix 2, which is available for free. Goldwave Updated To v5.51 GoldWave has been updated to v5.51. Producer Loops Symphonic Hip Hop Producer Loops has released a new hip hop collection with symphonic elements.